I can't thank you enough for the amazing portrait of Moe. You evoked everything about my dog, even more than I had originally hoped you'd be able to capture: his joy, his curiousity, his energy, and his intelligence. 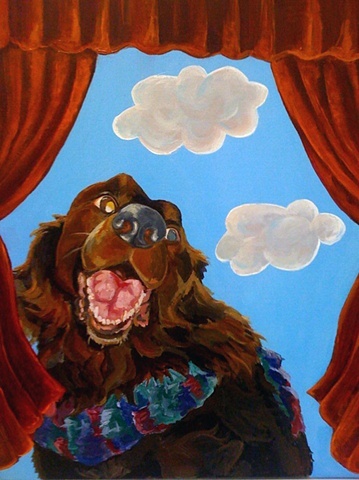 It's Moe on that canvas, not just a soft, lovable dog painted with his exact features. (And what an incredible job you did on his fur and his tongue!). The painting itself is so special-- the gorgeous sky behind him and the exquisite details of the curtains make this so much more than just the tribute I'd hoped for. It's been given the place of honor in my house, and all my friends are jealous. Thank you again!